My favourite cuisine, also native to me, is north indian food- more specifically Punjabi food. 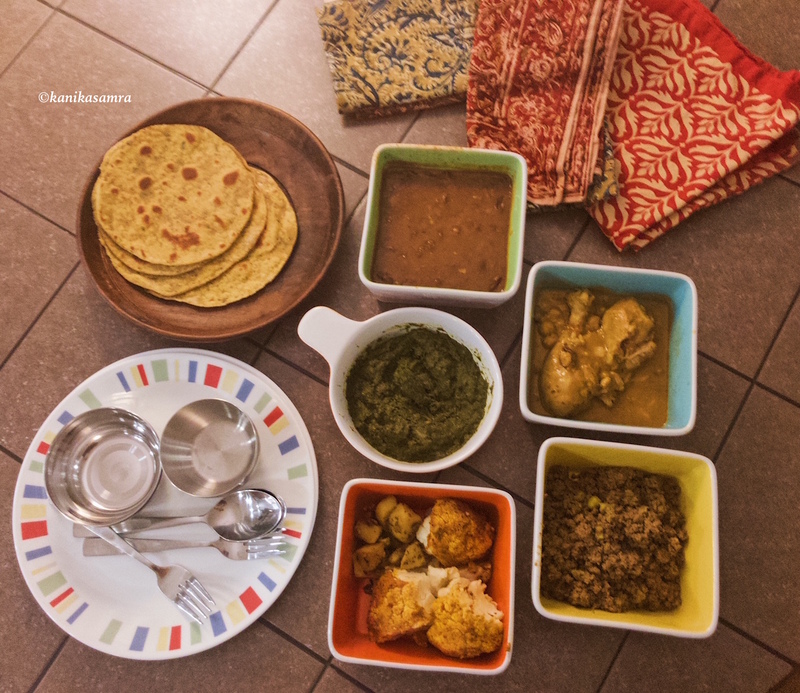 But because for three generations my ancestors have moved between states within India and also crossed over from Pakistan during partition, our culinary palette has broadened beyond the Punjab. That’s what I tend to showcase in a dinner menu, putting together my favourite comfort foods that might not all be from one region. These suggestions for an Indian dinner spread are suggestions to help you select a variety of complementary dishes. Here’s presenting a line up for an all Indian dinner spread that will please the palate and give a warm hug of comfort. Miniature Besan Cheela with chutney. The besan cheela, actually it’s called besan puda (i.e. 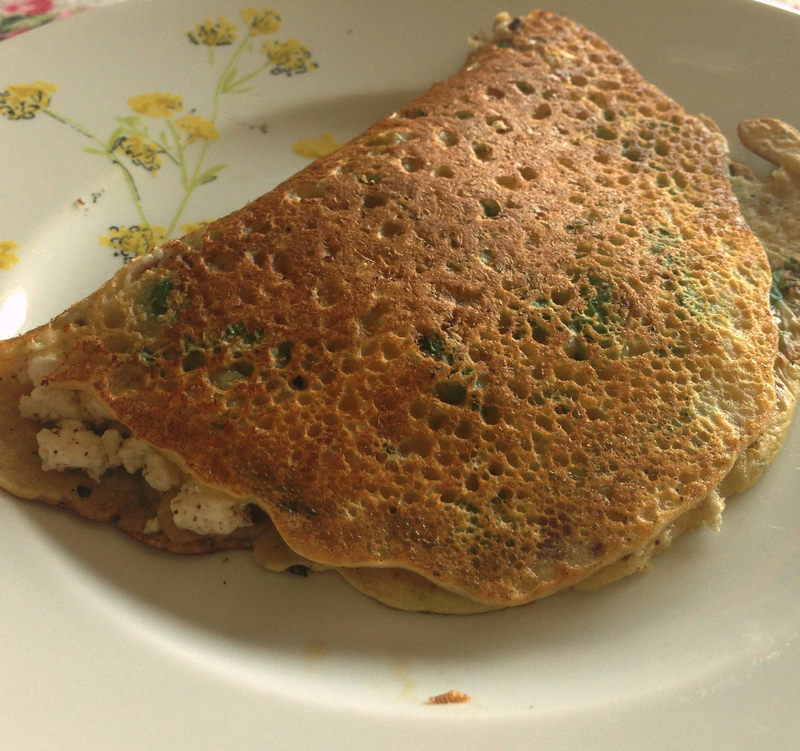 pancake) can be served rolled up with a savory chutney. Use our recipe and change the size of the pancake. Whole Wheat Pita Chips with Hummus. Guacamole to go with tortilla chips. Hari chutney- mint coriander dip that is good for croquettes and as a condiment with entrees. 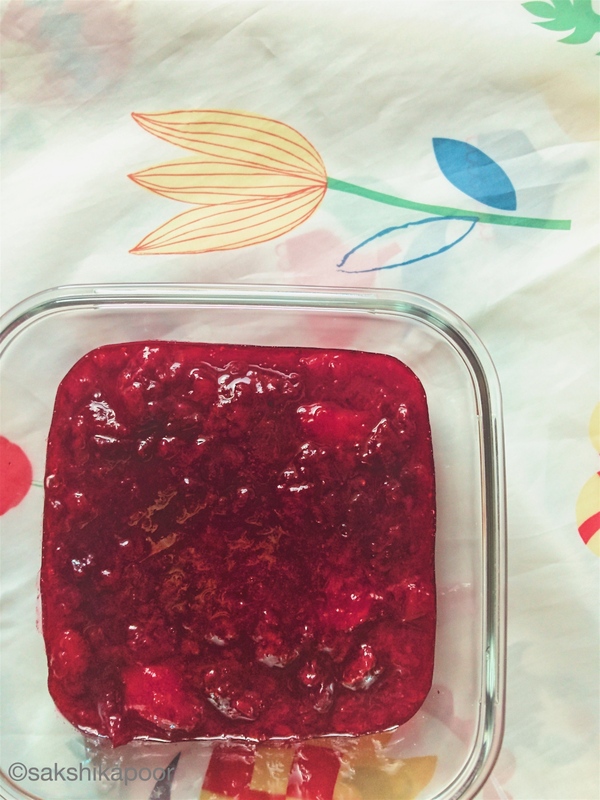 Ginger and cherry chutney that pairs extremely well with a variety of cheese and crackers. Another fruit based chutney to try is our Plum chutney. Pair it with your cheese platter and gourmet breads. Dal Makhni or for a less creamy but flavourful dal you could choose between Mahn di Dal and the Dhaba Dal. Add to this a Kadhai Paneer style dish. 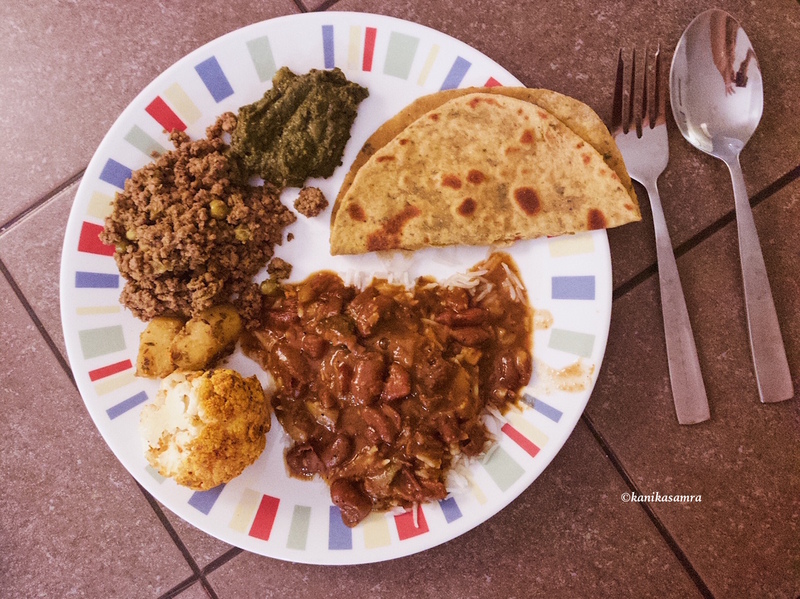 Find it in our post on a quick indian dinner. If paneer isn’t a house favourite, then try our quick and crispy potatoes. As our menu planning post suggests, there should be an attempt to entice the diner with colour. We suggest introducing some green in the menu. To add a nutty vegetarian dish inspired from Kerala cuisine- try a French Bean Thoran. 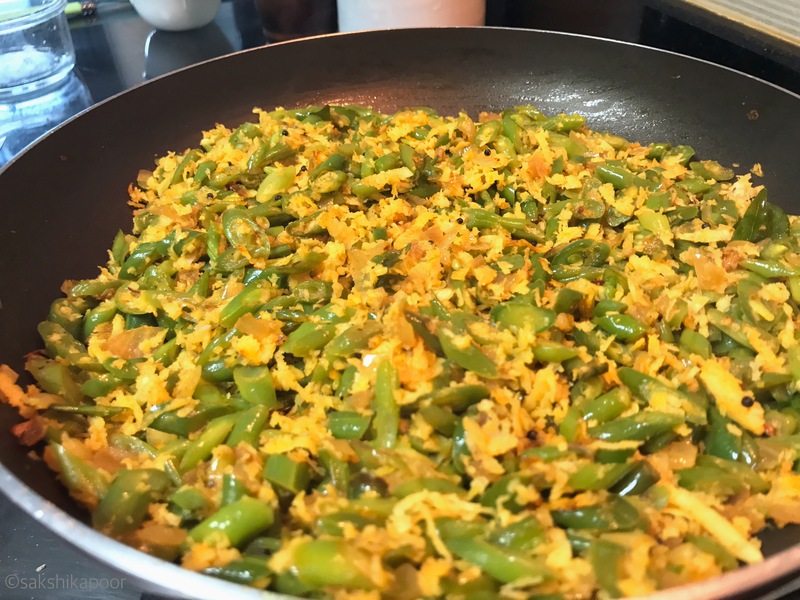 It sounds exotic and difficult, but it the easiest method to jazz up green beans. Gingered Chicken works perfectly with creamy black lentils i.e dal makhni or its cousin the mahn di dal. 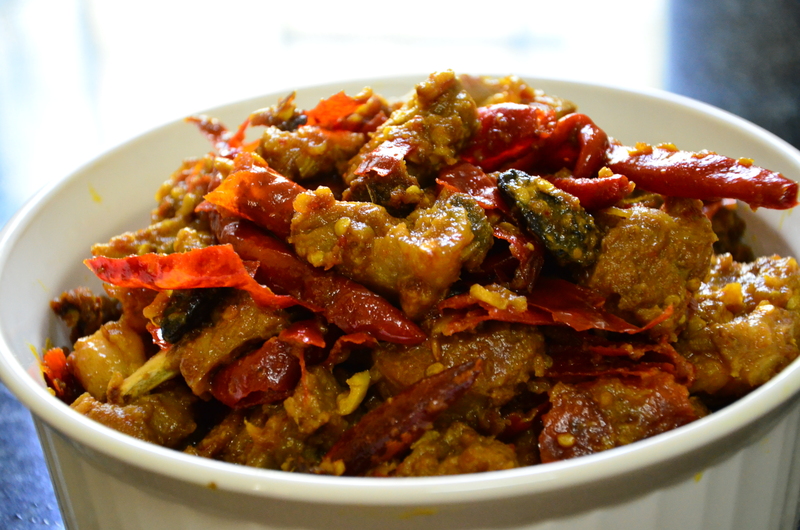 To add another meat- try cooking our fiery Gosht Do Piaza Laal Mirch mutton (goat meat). Often mutton can be hard to find in the US, substitute lamb. Plain white yogurt. Use store-bought can. We like to serve it whisked and topped with a light garnish of cracked black pepper. 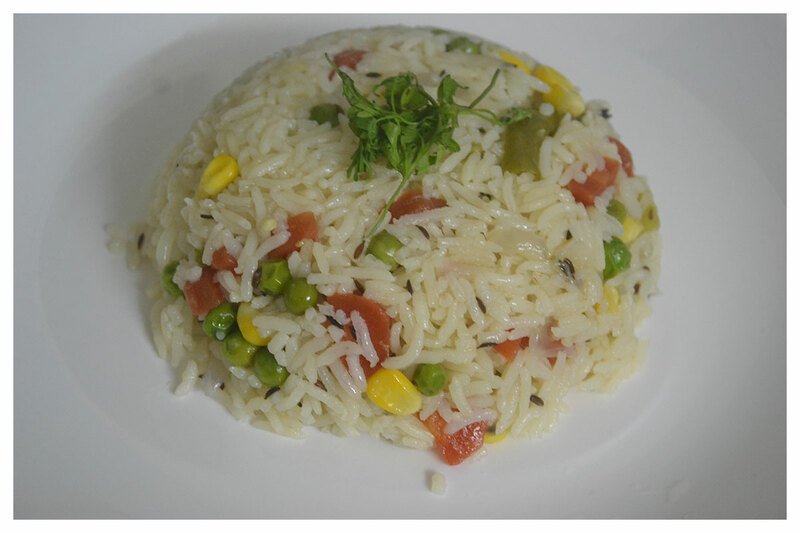 Breads and other carby sides – put together a simple rice pulao- such as our rainbow pulao that brings together basmati rice with assorted vegetables. Easy on the palate and visually pleasing. Serve chapatis (scroll down in our burrito bowl post for directions) – traditional whole wheat bread from India or herb filled Methi Paranthas. If you can’t make these at home you can easily find frozen version in an Indian grocery store. For a milk based dessert choose from traditional Kheer (rice pudding) or its variant Coconut Rice Pudding or Vermicelli Milk Pudding also known as sewiyan in the north and payasam in southern India. 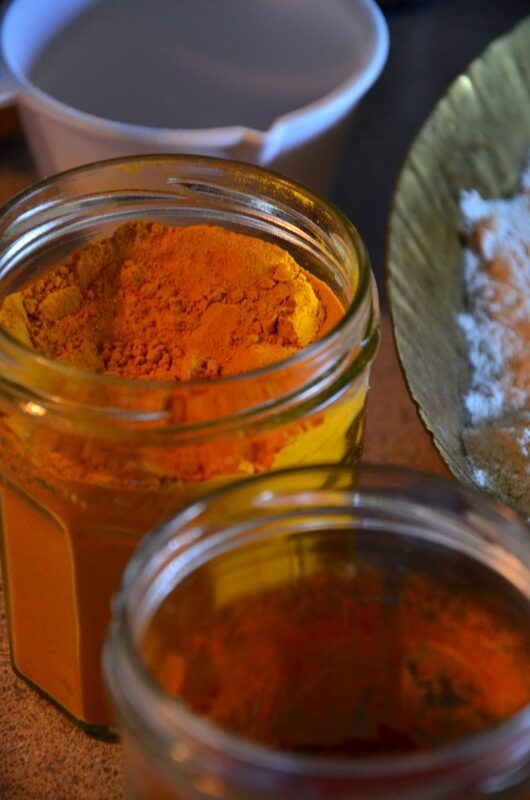 For a seasonal dessert, especially in the winters, cook Gajrela- a carrot pudding. And then there is the Halwa. 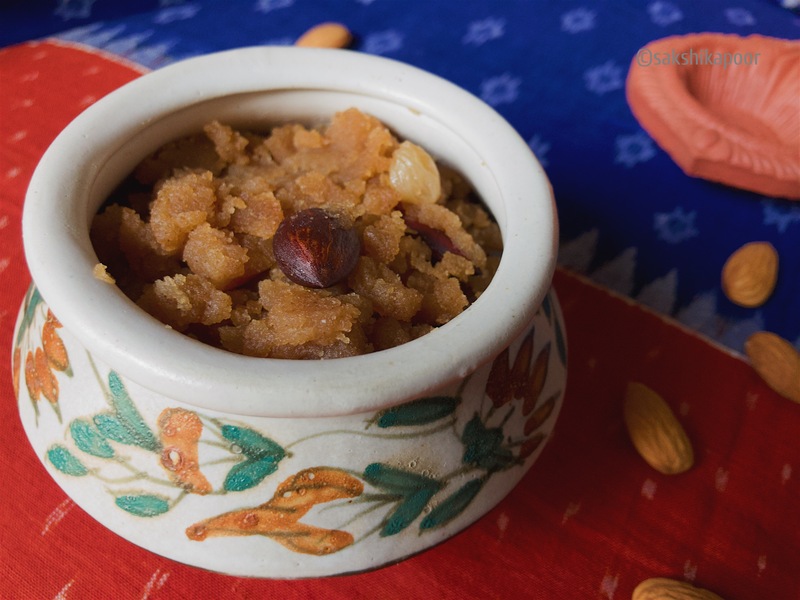 A delicious coming together of flour, sugar and ghee with dry fruits and nuts. This is the food of the gods, handed out in gurudwaras and temples across the country. Follow us on our social media channels for updates on new recipes, stories and tips. Thank you Chef Mimi 😊 hope 2018 is delicious and beautiful for you!